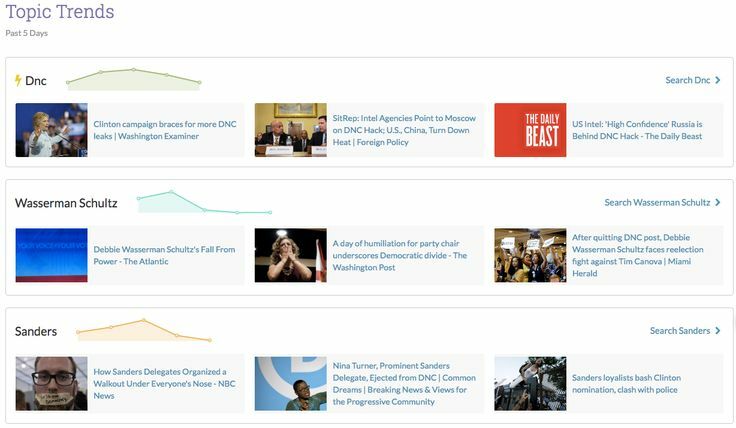 Topic Trends, the latest feature added to Moz Content, allows marketers to quickly access a snapshot of the most popular and the most relevant content in any vertical. By accessing the content in the Content Search index, Topic Trends highlights the topics that were written about most frequently in the previous five days. 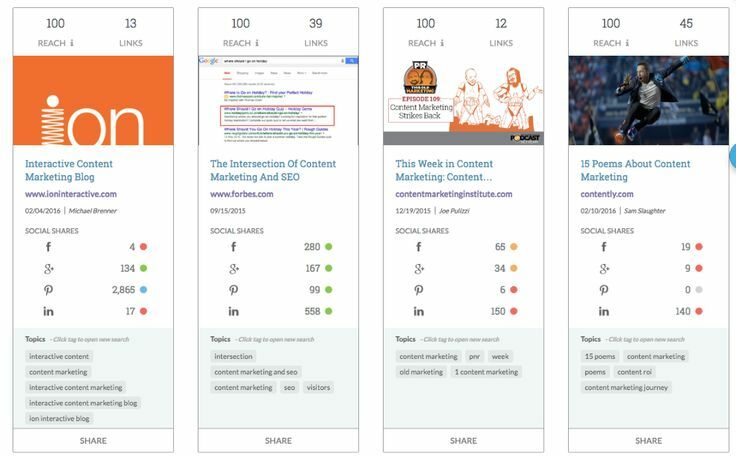 This feature is based on the Sharing Trends Graph, which highlights the number of articles matching your search in the Moz Content index, in addition to factoring in the median number of shares per article. The grey line represents the number of articles published about the topic being searched for over the last five days. The green line depicts the median shares of those articles. Ever since Matthew J. Brown announced the Beta version of Moz Content at MozCon 2015, we’ve been focused on designing, creating and delivering a tool that will make it easier for marketers to create the types of content that’ll resonate with their audiences. The Tracked Audits feature is ideal for brands who already have an audience, but if you’re just getting started, the focus is usually on research. That’s where Content Search comes in. 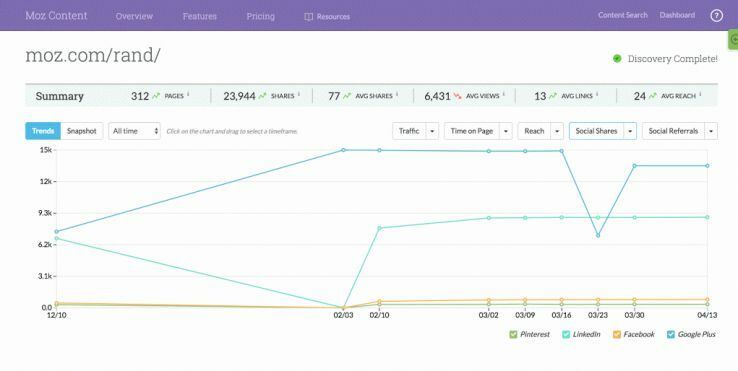 The Tracked Audits feature, for example, provides marketers with all of the information a normal content audit would, but has the added dimension of an extended and customizable timeline. Instead of spending hours manually (which I’ve done numerous times; it’s no fun) you can simply have updates emailed to you detailing everything you need to know to track content performance. Not only will this allow you to be better informed about the content types and content topics you should create, but it also alerts you to who your main competitors are for content you desire to create, as well. If you’ve already been using the product, try out the newest feature and let us know what you think. Either way, we’d love to hear from users of the product. We’re always looking for ways to improve it and welcome your input.